The shocking demise of a young upright IAS officer is the news of the week, except few others who seldom had time to even take a glance at this news and instead their priority was in Anushka and Kohli’s tweets for each other, leaked selfie’s and creating unnecessary chaos in social networking sites. In fact, I don’t have any problem with their preference, but unless and until the educated youths understand their responsibilities and define their priorities, corruption cannot be eradicated and answers to the death of upright officers like D K Ravi cannot be excavated. There are many conspiracy theories floating at present including illegal affairs. I don’t wish to come out with my own conspiracy theory, but I always believe that a theory of illegal affairs is the only strong option available with corrupt to end the story of any honest officers. Secondly, I am also a firm believer that for those who believe and work for the betterment of the people and nation, won’t bother themselves in silly activities like the one quoted in his case. 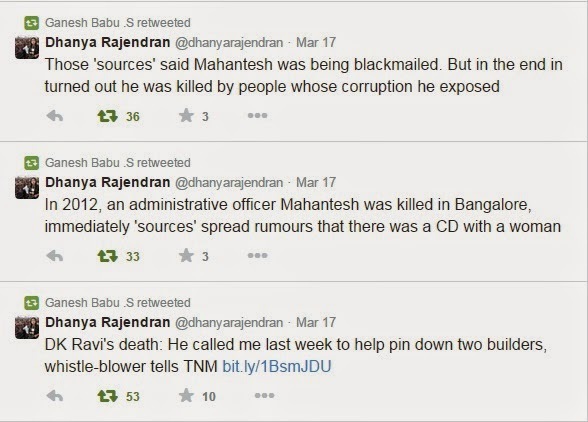 Will a person fighting against the mafias and tax evaders at the cost of his life, commit suicide for silly reason. I do know why my mind rejects all these theories completely. Facebook Usage Statistics: Everyone uses Facebook differently and in fact from their usage and likes many points could be interpreted. It is very evident from his page, that he is not a frequent user except updating photos and wishes on special occasions. But the Facebook shares mentioned in papers was done on March 12 at around 10.30 AM. But before sharing the article related to the women officer, he seemed to have shared another article a minute before which is related Mandya ZP CEO at 10.29 AM. Now this could be viewed from two angles. It is evident from the share (which is shared twice), that he has used it from smartphone. Why a person who never had the habit of sharing news, videos or photos suddenly shared 2 articles within a gap of 1 minute from two different dailies, that too in working hours? 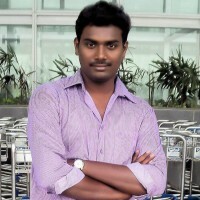 He might have started to use applications like Feedly or other apps which provide news feeds and without his knowledge the option of auto share could have shared it in Facebook. This could be the reason for double sharing of two different posts within a gap of 1 minute. It is very normal, without any intention. Did he share FB password? 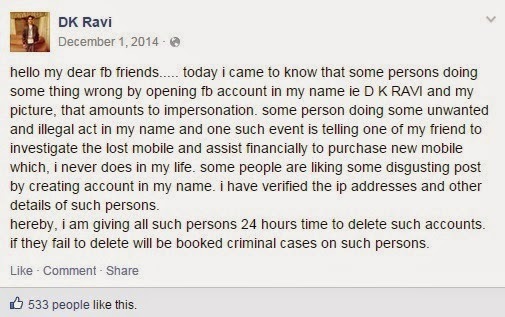 : He should have shared his FB password with someone or might have taken without his knowledge and this is why now his FB page name mentions “Remembering D K Ravi”. What if even the post or texts are shared in FB recently was done by someone else? It seems that post is shared from smartphone and if it someone who shared it, does it mean someone else easily accessed and used his smartphone. Were all the FB shares, texts, calls done if they existed as claimed were done in real without his knowledge to deviate the real reason? Bottom Line: I struggled (looking at the emotional portion attached at present) to come out with a conclusion for my interpretation as my mind is hinting various possibilities after having an insight on his FB page, however I decided to restrain myself from specifying anything. However, my instinct tells that there is something , hidden very deep apart from the angles which is viewed now.